All structures, regardless of their function, are subjected to forces caused by the natural environment (such as wind and earthquakes) and by man (such as cargo and automobile traffic), and they must be designed to withstand these forces. These structures can be as varied as buildings, bridges, towers, pipelines, machinery, automobiles and spacecraft. The job of the structural engineer is to design new structures or to evaluate and improve the load resistance capabilities of existing structures. In order to accomplish this, the structural engineer must be knowledgeable about the behavior of deformable bodies, about the sources, magnitudes and probability of occurrence of applied loads, about material properties, design philosophies and governmental design codes, and about computer programming and usage. 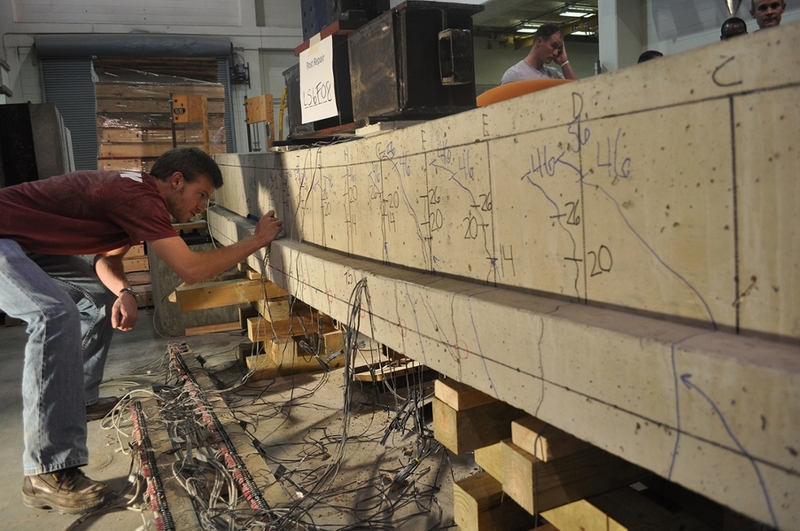 The graduate structural engineering program at Auburn University provides students the opportunity to expand their education in practical aspects of the analysis and design of conventional civil engineering structures. In addition, students learn the fundamental mechanics and mathematical principles that can be used for all types of materials, structural forms and advancing technologies of the future.